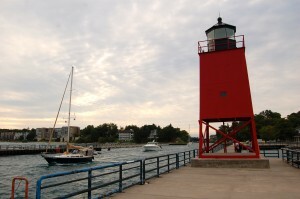 Browse: Home / Arts and Entertainment / Charlevoix, Saugatuck: Best Midwestern Small Town? 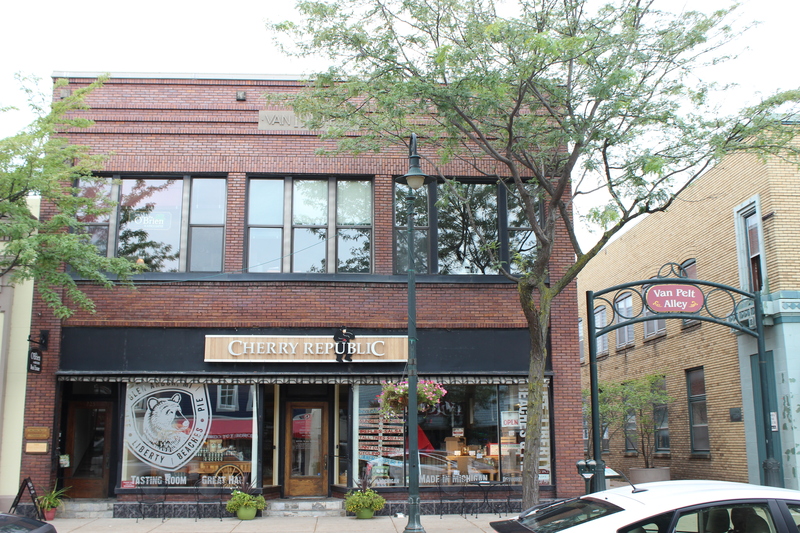 Another 10best.com Reader’s Choice poll is up, and once again we have multiple Michigan locations in the running – this time Charlevoix and Saugatuck are fighting to be named the Best Midwestern Small Town. Michigan has had a dominant run in these polls in the past, and Grand Rapids recently defended it’s 2016 title by being named the Best Beer Scene for 2017. Hopcat finished fourth in the voting for Best Beer Bar, and Brewery Vivant (5th) and Founders Brewing Co. (6th) had strong showing in the Best Brewpub voting in the same batch of polls. This recent attention is nothing new for Saugatuck, which was named the Best Coastal Small Town in a 10best.com Reader’s Choice vote in 2015. 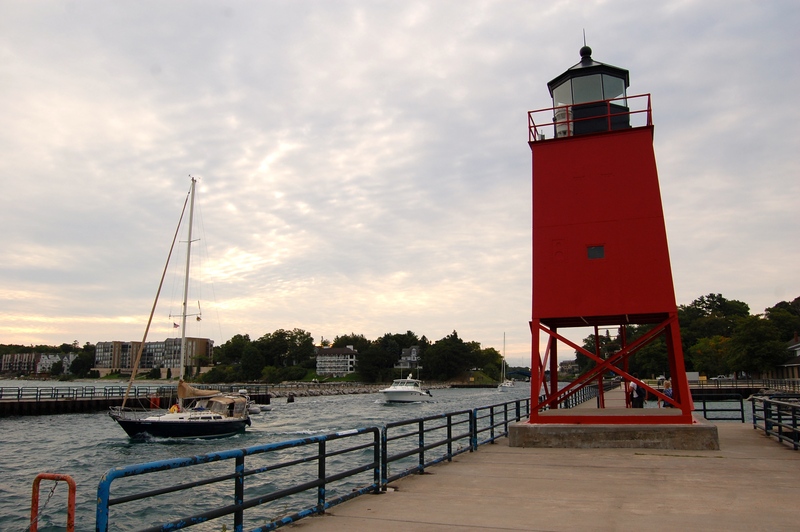 One of the obvious draws for both towns is their proximity to Lake Michigan, and in the rest of the post we’ll take a look at the case for each town and let you know how and when to vote. 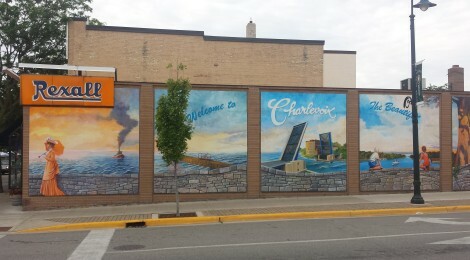 The Readers’ Choice blurb for Charlevoix reads: “Vacationers looking for an Up North escape love Charlevoix for its beautiful lake beaches, historic architecture and boutique shopping. 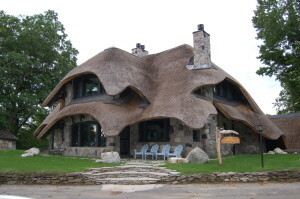 Castle Farms, the town’s most famous attraction, was built in 1918 as a working dairy farm. 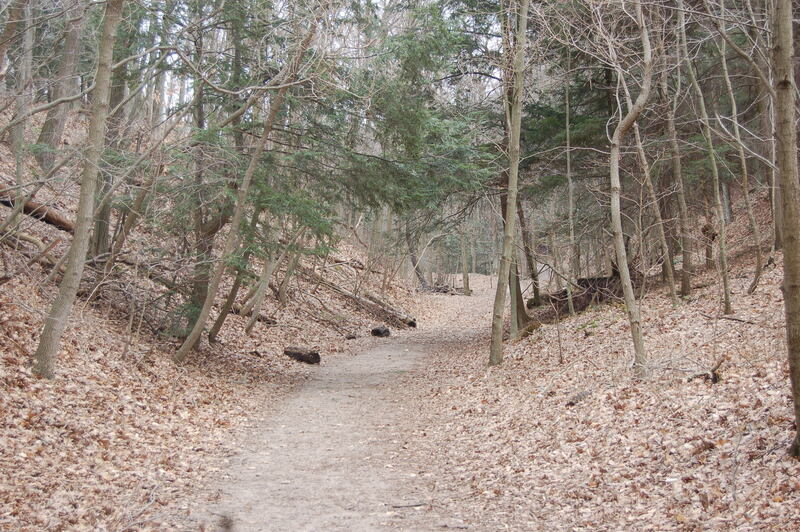 Today, it’s a popular place to go for a scenic stroll. 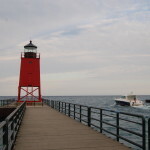 Visitors to the town can also tour Earl Young’s Mushroom Houses or visit Beaver Island, the largest island on Lake Michigan.” One of our favorite places to visit when in town is the Charlevoix South Pier Light, which is found next to a great sandy Lake Michigan beach that is also a top spot to hunt for Petoskey stones. Restaurants include Stafford’s Weathervane Inn, Smoke on the Water, Bridge Street Tap Room, and Terry’s Place, and the downtown boast plenty of walkable shops and frequent community events. Lake Charlevoix Brewing Company is a worthwhile stop next to the Beaver Island ferry dock, and Fisherman’s Island State Park is just a few miles away. Charlevoix is also home to a monument to what was at one time the World’s Largest Cherry Pie. The Readers’ Choice blurb for Saugatuck read: “One of the most popular resort towns on Michigan’s Gold Coast, Saugatuck is known for its B&Bs, art galleries and stunning Lake Michigan shore. 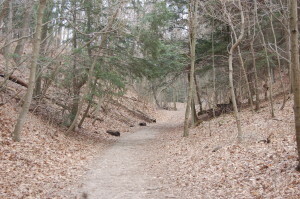 This small town’s charms include a 19th century downtown area brimming with shopping opportunities and chic cafes and easy access to the dunes and beaches of the nearby state parks.” We love the hiking trails and beach at Saugatuck Dunes State Park, and we’ve always had a pleasant experience when visiting Saugatuck Brewing Company. 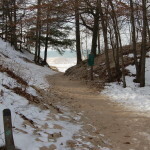 Other top attractions include the Felt Mansion, Saugatuck Chain Ferry, Saugatuck Dune Rides, Oval Beach Park, and Mount Baldhead Park. The downtown area features plenty of shopping and dining options, and in the summer months Saugatuck is so popular you may be hard pressed to find a parking spot! 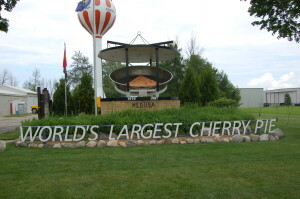 Saugatuck and Charlevoix are finalists on a list that also includes Bayfield (Wisconsin), Chagrin Falls (Ohio), Cottonwood Falls (Kansas), Elkhart Lake (Wisconsin), Galena (Illinois), Grand Marais (Minnesota), Granville (Ohio), Hermann (Missouri), Hot Springs (South Dakota), Lanesboro (Minnesota), Medora (North Dakota), Mount Vernon (Iowa), Nashville (Indiana), Nebraska City (Nebraska), Parkville (Missouri), Shipshewana (Indiana), Weston (Missouri) and Yellow Springs (Ohio). 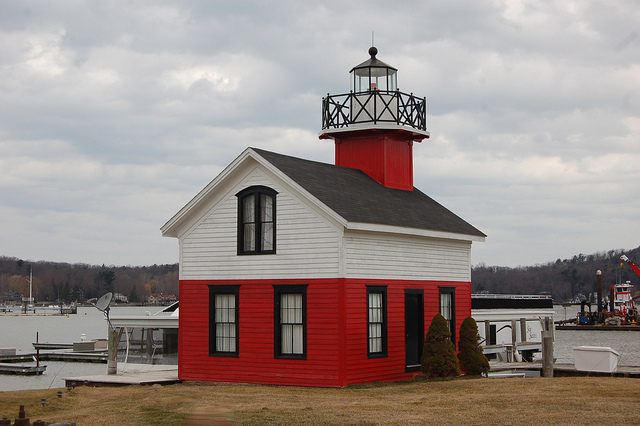 We’ve had the chance to visit Bayfield and Grand Marais on our Lake Superior Circle Tours and can see where a strong case could be made for either town. 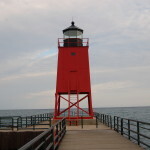 At the time of this writing, Charlevoix sits in second place, with Saugatuck well behind in eighth place. 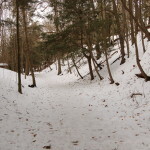 You can vote once each day at http://www.10best.com/awards/travel/best-midwestern-small-town/, with the contest running through noon on April 24th. 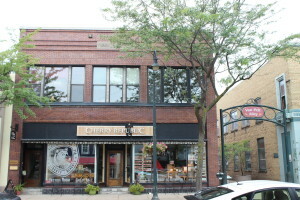 For more information on Saugatuck, visit their tourism website, and for more on Charlevoix check out http://www.visitcharlevoix.com/.